The UK capital is a massive city containing in excess of 5 million dwellings, many sharing wall and floor partitions. In this noisy environment it is essential that good acoustic design and construction is incorporated into all new and refurbishment projects along with sound testing for London. To try and help enforce good acoustic design principles and pre-completion sound testing was introduced in July 2003 to comply with new Approved Document E. The new building regulations required 10% of each party wall/floor construction type to be tested on all new build and conversion properties. We have undertaken thousands of sound tests on converted properties in London and in our experience if the partitions haven’t received any acoustic upgrades the wall and floor partitions – as per the plate below) normally achieve approx. 30-35dB for airborne sound and 68-74dB for Impact Sound. Obviously these figures fall well short of the required 43dB & 64dB as stipulated in Approved Document E. Also, it’s worth taking into account that sound doubles every 10dB, so 30-35dB for airborne sound and 68-74dB for impact sound would be massive failures and careful acoustic design and construction upgrades would be required. Using our many years’ experience in building acoustics, we are able to offer a total design and testing solutions for new and conversion projects. We help many architects and top 10 construction companies with their acoustic design requirements from the largest developments containing hundreds of units through a pair of semi-detached dwellings. We always endeavour to find the most cost effective solution. If it’s a conversion project and you are unsure of the floor/wall construction, we often recommend our ‘sample sound testing service. 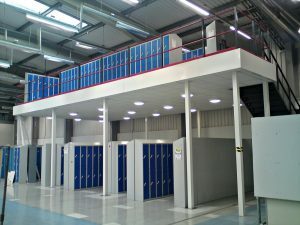 Firstly, we visit site and undertake sample sound testing to at least one floor and wall partition, is consists of at least one airborne and impact test to the proposed dividing floor and an airborne test to the dividing wall. Once the sound test results are established we can then offer a targeted acoustic design solution to achieve a successful sound test in London in compliance with Approve Document E.
Once the construction works are underway we can undertake a site visit to check that the installation teams are installing the acoustic materials as per manufacturer’s guidelines, thus avoiding crucial onsite mistakes during the construction phase. In our experience a sound test failure is often caused by poor workmanship rather than the actual acoustic design. The site survey helps to further reduce the chance of a London sound test failure. Sometimes, there are more technical issues such as noise flanking which may require more detailed diagnosis and invasive investigation, such as the removal of some of the wall and floor partitions. In many cases a large amount of noise flanking is due to serious design faults, e.g. the use of lightweight blocks in the construction of the walls in an apartment development. This allows the sound to travel along the walls and floors from dwelling to dwelling. 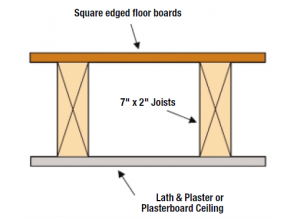 In many cases a wall and/or floor partition may have a very good acoustic construction; however the partition will still fail as the sound is travelling along a noise flanking path. a. Where lightweight blocks used in the inner envelope construction. This allows sound to travel along the lightweight blocks both vertically and horizontally from dwelling to dwelling. b. 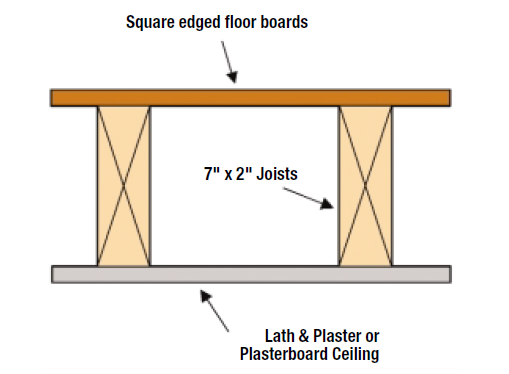 Through dividing floors if there is lack of mass or acoustic insulation has not been installed and/or or direct fixing of plasterboard and/or floorboards to joists without using a resilient ceiling construction and/or floating floor. d. Through Fixtures & fittings such as light switches, telephone outlets and TV cable ducts where they sit back to back against the adjoining property. f. Structural steels that run through one property to the other without material isolation, i.e. plasterboard is screwed directly to the steel offering little or no noise isolation. There are many quick and simple solutions to improve the acoustic performance of dividing wall partitions. One of the easiest wall solutions is to install a 70mm met-sec partition in front of the existing wall abutting dwellings. Firstly leave approx. 25mm gap between the back of the met-sec and the existing wall. Then install 50mm acoustic wool to the inside of the met-sec and add two layers of soundboard to the outside of the met-sec frame, ensuring all boards are properly lapped and the perimeter joints are filled with acoustic mastic. Also make sure that the sockets etc. are placed in a different position to the sockets on the other side of the wall. To reduce airborne and impact sound transmission through the floor, one simple solution is to add a timber baton to the bottom of the joists. Then add an acoustic resilient hanger. To the inside of the newly formed void add an AW 25 Isowool acoustic insulation. To the underside of the hangers install 2 x 12.5mm layers of soundboard. Allow for the correct laps in the plasterboard. Add AW100 Isowool to the centre joist void and to the top of the joists install 18mm flooring. To the top of the flooring add a 4mm resilient matt. The above Air and Wall solutions should comply with Approved Document Air for you Sound Testing in London. Whatever the problem we can usually find an acoustic solution that will help you achieve Building Regulation compliance If you have a project that’s needs acoustic design advice or needs sound insulation testing then please contact us at: info@aptsoundtesting.co.uk or phone us directly on 0203 669 2650 and we should be able to offer you an expedient acoustic solution to help you achieve practical completion. British universities are being hit by hundreds of successful cyber-attacks every year, reports the Times. More than 1,152 intrusions into UK university networks had been recorded in 2016-17, it said. And thieves were interested in defence technologies as well as research into novel fuels and better batteries. The newspaper used data gleaned from Freedom of Information requests to gauge the extent of cyber-attacks on the educational institutions. The requests revealed that Oxford, Warwick and University College London had all suffered breaches that sought to steal research data and documents. The newspaper said thieves were either stealing on behalf of foreign powers or looking to get at valuable data they could sell to the highest bidder. The number of recorded attacks had doubled in two years, it added. Mr Maple said the digital defences deployed by UK universities needed to be tightened up. The information received by the Times revealed attackers used many different techniques to extract either data or cash from the UK’s higher education organisations. 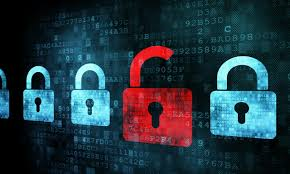 Ransomware, phishing and denial of service attacks, which bombard sites with data, had all been employed against universities, it found. The open networks many universities ran made them a “tempting and easily accessible” target, he added.